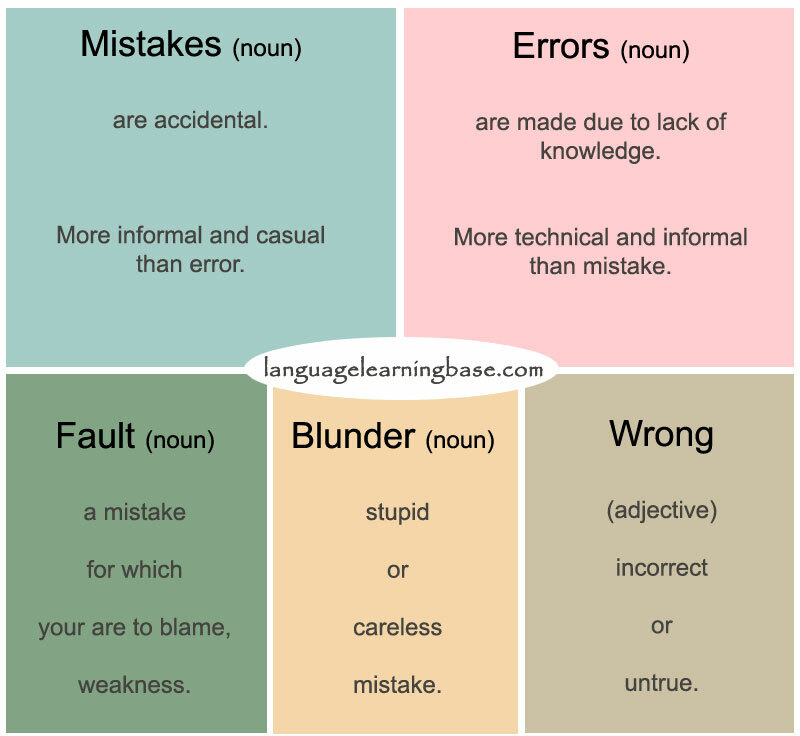 How can use the words "Wrong", "Mistake" and "Error"? What's the main difference between these words? This answer is wrong! - You bought the wrong car! Wrong= Not correct ex. You took the wrong way= There is a right way. Error= To do something wrong due to ignorance or poor knowledge (You think it is correct but it is not) ex. It was an error to do business with that nasty guy, he cheated us. ex. Ups! Sorry for drink up all your beer, I was absent minded. It was a mistake.